She was the daughter of William Henry Falkner and Frances Green Ball. Birth*: Temperence Falkner was born circa 1795 at Orange Co., NC. Marriage*: Temperence Falkner married William Minnis on 20 December 1818 at Orange Co., NC. Birth*: Thomas Falkner was born circa 1818 at NC. Birth*: Thomas A. Falkner was born circa 1836. Marriage*: He married Susan Furrow on 30 January 1867 at Surry Co., NC. He was the son of Noel John Falkner and Eliza Fenner Benton. Death*: Thomas N. Falkner died before 1910 at NC . She was the daughter of Bartholomew Falkner and Sarah "Sally" Clark. He was the son of William Andrew "Peter" Falkner and Lina Green Powell. Burial*: She was buried circa 29 December 1903 at New Bethel Baptist Church Cemetery, Vance Co., NC. Marriage*: Vincent Falkner married Lively Merritt on 14 October 1807 at Orange Co., NC. Death*: Warren Falkner died after 19 June 1900 at Vance Co., NC. Birth*: Wharton Callie Falkner was born in December 1875 at Warren Co., NC. 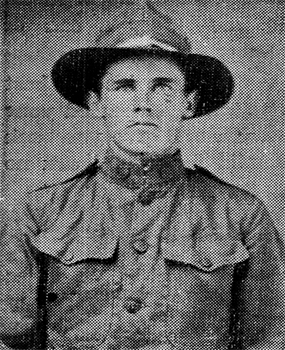 He was the son of Alexander Ball "Sandy" Falkner and Lucy A. Clark. [S242] Henderson Gold Leaf, 25 Jan 1906. Birth*: William Falkner was born circa 1795 at NC; Note: William has been added as a son of John Faulkner and Hulda Robinson based on the following. In the 1880 Warren Co., N.C. census, Staleny Falkner, daughter of Ford Falkner is living with Landis Falkner and his family. She is described as a cousin. William and Ford are listed living near each other in the 1830 South Regiment, Granville Co. Census. Also, in 1800, John Faulkner has 3 males under 10 living with him and William and Ford fit the age group. 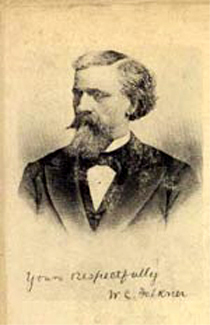 Birth*: William Falkner was born before 1837. Marriage*: He married Eliza (?) before 1855. Death*: William Falkner died before 1878 . William was dead at the time of Jim's marriage to Mary Jane in 1878. Birth*: William Falkner was born circa April 1721 at Philadelphia, Pa. Birth*: William Falkner was born circa 1728. Marriage*: He married Abigal Harcott in November 1748 at Pa. Birth*: William Falkner was born before 1742. Marriage*: He married Heclace Garrard on 30 March 1762 at Pa. He was the son of William Henry Falkner and Frances Green Ball. 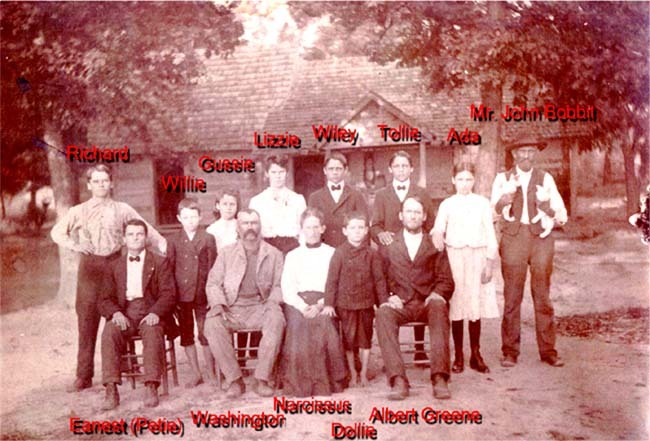 Marriage*: William Andrew "Peter" Falkner married Lina Green Powell, daughter of Henry Powell and Martha "Pattie" Frances Robertson, on 24 December 1879 at Warren Co., NC. Birth*: William Clark Falkner was born on 6 July 1825 at Knox Co., TN. Marriage*: William Clark Falkner married Holland Pearce on 9 July 1847. Death*: William Clark Falkner died on 5 November 1889 at Ripley, Tippah Co., MS, at age 64 .